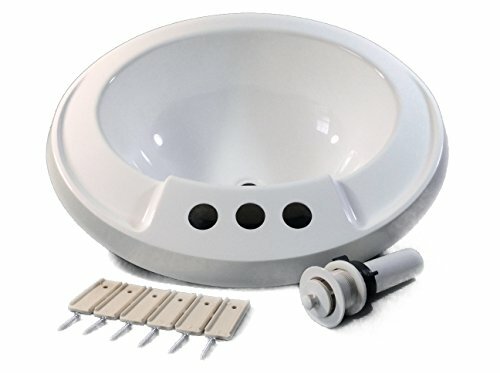 20X17 White Plastic Oval Bathroom Sink Common Size for Mobile Home, RV and Marine Applications. Full 7" Deep. Drain assembly and mounting hardware included. 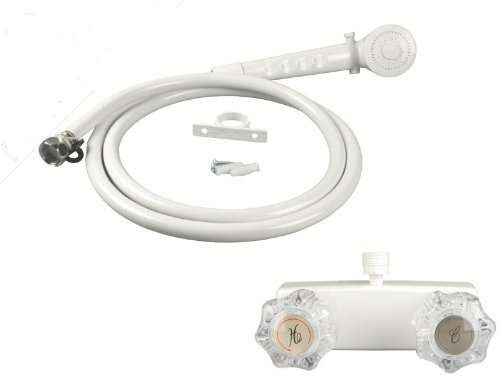 8" White Utopia Mobile Home RV Marine Tub Shower Faucet White Finish 8" Centers (Offset) Smoked Handles 1-1/2" Shanks All LaSalle Bristol Utopia faucets feature a patented self-aligning plunger action with non-rotating tip. The grinding action that cuases washer wear in ordinary faucets and leads to drips and leaks is entirely eliminated. Because the underbody parts of Utopia are made of a nonadhesive material, the water minerals that normally clings to the surface of a brass faucet will not stick to the Utopia faucet. As a result, corrosion never has a chance to begin. 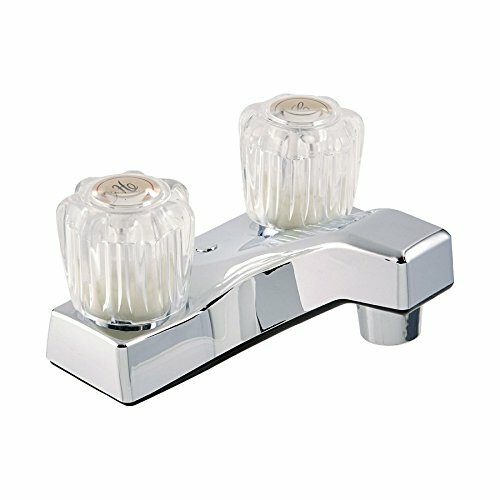 Each faucet is packed with hand-tight locknut connections and an ABS putty plate which simplifys the installation process. 1/2" threads on all faucets. 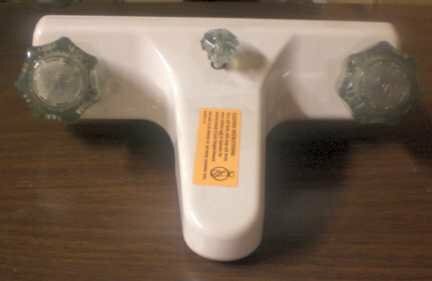 This is the perfect replacement shower faucet for your RV / Mobile Home. This faucet is non-metallic so it won't rust. 5-year warranty. Optional Hand-Held Shower Set Available WUF-08070. 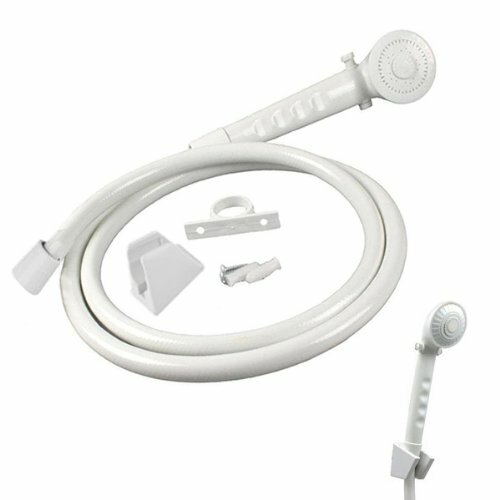 The White RV/Mobile Home Shower Faucet with hand-held shower is a great addition to any RV or camper. Hand held shower comes with a 60 in. vinyl hose and has a shut-off switch. The shower faucet is nonmetallic so it won't rust and is light weight so you won't be adding extra weight to your rv. 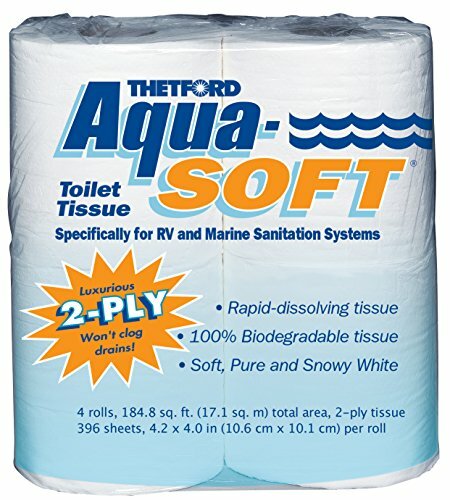 Both units come with a standard 5 year warranty. Upgrade your RV bathroom with this lavatory faucet. 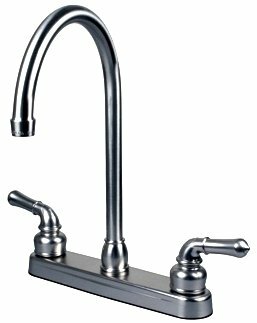 This non-metallic centerset faucet is made from premium-grade lightweight synthetic waterways. 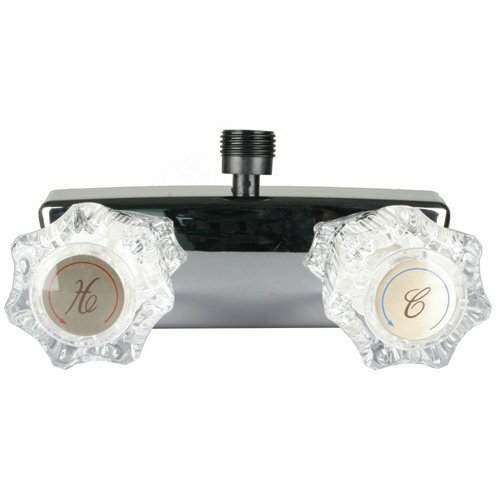 Its polished chrome finish and clear dual handle acrylic knobs has a classic look, making this an ideal replacement for old faucets. 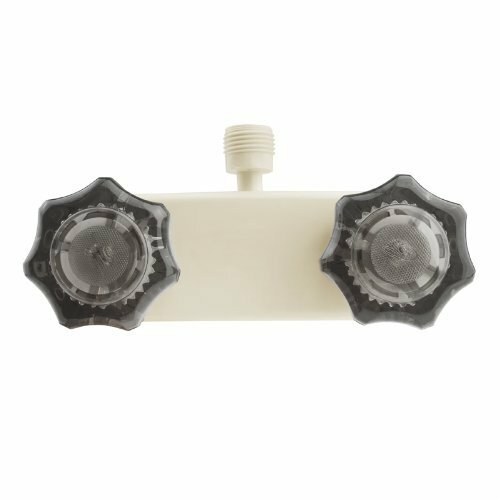 This faucet is ideal for RVs, travel trailers, 5th wheelers and campers. The washerless cartridge design ensures long lasting use. 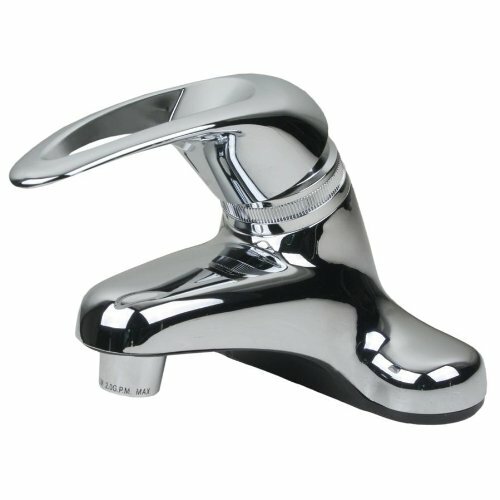 This recreation vehicle lavatory faucet is UPC, cUPC and lead-free certified. Copyright © Wholesalion.com 2019 - The Best Prices On Mobile Home Rv Marine Online.